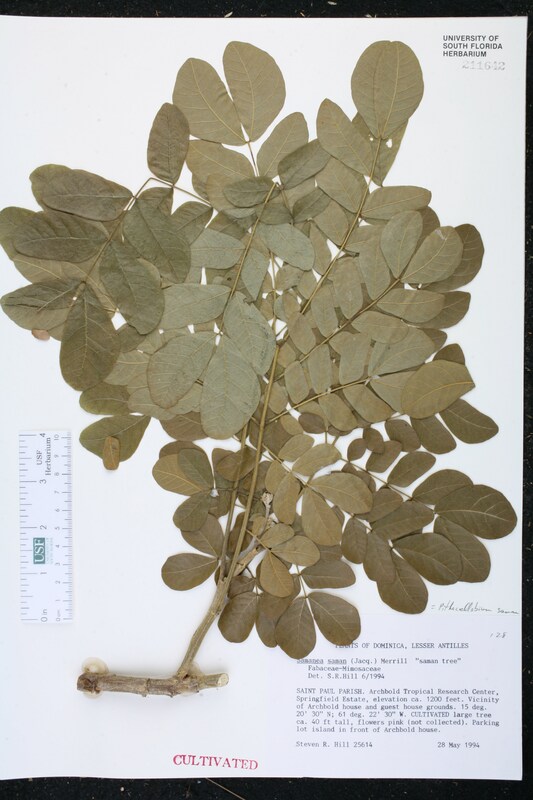 Taxon: Pithecellobium saman (Jacq.) Benth. Locality: Dominica, St. Paul Par., Archbold Tropical Research Center, Springfield Estate; vicinity of Archbold house and guest house grounds; parking lot island in front of Archbold house.